Your support matters. Our nonprofit organization is dedicated to housing homeless veterans and helping veterans find the treatment, guidance and security they need to rebuild their lives. 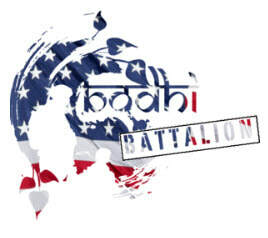 The Bodhi Battalion recognizes the sacrifices veterans have made for our country and seeks to ensure they all receive compassionate and well-rounded support. Your participation in our tournament and/or golf discount book will support our cause and enable us to reach more veterans in need! ​A portion of every discount book sold and golf tournament entry will help this amazing cause. NON-PROFIT TAX ID:We are a nonprofit 501(c)3 organization. Sponsorship and donation may be tax deductible.